Clemastine Fumarate for Dogs - Uses, Dosage, Side Effects Vet approved! Clemastine Fumarate is an antihistamine classified under the ethanolamine group. (Some commonly know brand names are: Wal-Hist, Allerhist, Antihist-I , Dayhist, Tavist). It is a H1 Blocker that works by inhibiting the action of histamine on the tissues of the body. Histamine is the chemical responsible for the distinct symptoms that are manifested when a dog or a cat is suffering from an allergic reaction. It also works as an antipruritic to help soothe persistent itching associated with allergic reactions. If you got here searching for Tavist®, from what we know it’s no longer on market because of medical risks. Talk to your vet first! When you are considering the use of Clemastine to manage your pet’s allergies, it is a good idea to consult your veterinarian regarding important concerns and/or questions you may have about the treatment regimen. You can also inquire about tests that may be necessary while your pet is taking Clemastine, as well as viable treatment options that can help manage your pet’s allergy symptoms. Discussing the length of the treatment period and the possible outcome will also give you an idea regarding your pet’s treatment regimen. Clemastine Fumarate is a commonly prescribed antihistamine for dogs. While it is registered for exclusive use in humans, many veterinarians prescribe Clemastine for dogs, as an extra label medicine. It is often prescribed with other anti-inflammatory medications, such as Diphenhydramine or Hydroxyzine, to enhance its efficacy. 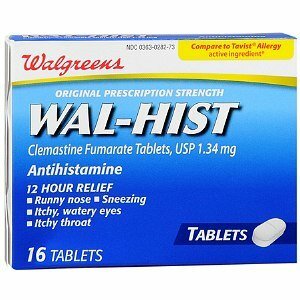 Clemastine is thought to have less of a sedative effect compared to some antihistamines. A clinical trial on the efficacy of Clemastine in the management of allergic pruritus (itching) in dogs showed elimination of pruritus in 10% of the dogs; and 19% showed marked improvement with some residual pruritus. Side effects were uncommon and adverse reactions were observed in only 4% of the dogs. (William et al, 1993). As an unflavored 1.34 mg tablet that can be bought over-the-counter. It is also available in 0.1 mg/mL syrup. You will need a veterinary prescription for Clemastine 2.68 mg tablets. Clemastine dosage for dogs depends on the body weight. The duration of treatment will depend on the reason for and the animal’s response to the treatment regimen. The dosage instructions issued by the veterinarian should always be followed and the medication should only be administered to the pet for which it was prescribed. If you miss a dose, make sure to give it once you remember. But if it’s almost close to the schedule of the next dose, just forego giving the missed dose and stick to the regular schedule. Don’t give two doses at a given time! If you know or suspect your pet has had an overdose, make sure to call your veterinarian immediately. If you observe any of these side effects, contact your veterinarian as soon as possible. Animals with a known hypersensitivity or allergy to Clemastine Fumarate should not take this medication. EXTREME CIUTION is needed while using this medicine on animals that are on sedatives or tranquilizers. While the drug is presumed to be safe for use in pregnant animals, its traces may be present in the mothers’ milk, so be cautious while using this medication in nursing pets for it may have adverse effects on the young. The drug is contraindicated in animals that will undergo allergic skin testing. Do not administer to dogs that are utilized for police and military work, as well as those that are used as guide dogs for hearing and visually-impaired persons. These working dogs require full alertness in their jobs. Clemastine Fumarate may bring about too much sedation that can interfere with the animal’s ability, efficiency and competence. 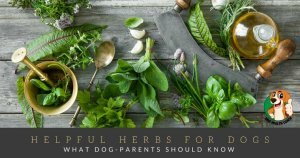 You should inform your veterinarian if your pet is used for breeding, pregnant, taking other medications or supplements, or has had any adverse reactions to previous medications. 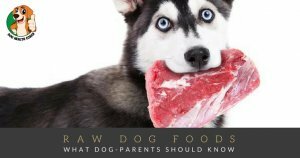 Avoid giving new food or medications without first consulting your veterinarian. It should be stored in a childproof container that can be tightly closed and is resistant to light. The container should be placed away from heat and direct sunlight. It should be stored at room temperature, in a place that is cool and dry. As with all medications, Clemastine should be kept out of reach of children and pets. Did we miss anything? Please let us know in the comments.